Liu, Fries & Morris, Eds. So far gpbmigrate has created 68 blog entries. Karen Malpede and GenPop Books author Jan Clausen (Veiled Spill: A Sequence) in conversation at Kenyon Review. Read an excerpt here. Tarpaulin Sky Magazine interviews GenPop Books author Jan Clausen (Veiled Spill, 2014), calls Veiled Spill "one of the more important books of poetry published in the last few months." 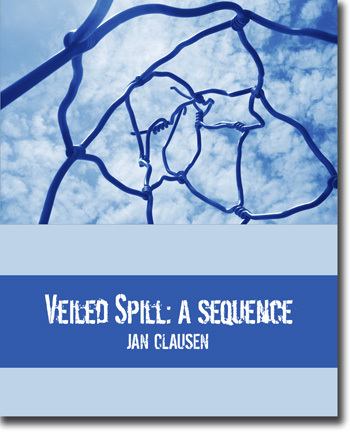 At American Poetry Review, Arielle Greenberg reviews Jan Clausen's Veiled Spill: A Sequence (GenPop Books) beside Claudia Rankine's Citizen, among others. A packed prose poem that features a cherub sans head and delivers the goods in just eight sentences, "Damage," by GenPop Books author Emma Bolden (Maleficae), is featured today at Poetry Daily. GenPop Books author Judith Baumel (The Kangaroo Girl) has been elected President of the National Board of Trustees of the Association of Writers and Writing Programs. At Poet's Quarterly, Edan Mohr reviews Judith Baumel's The Kangaroo Girl, (GenPop Books) which Mohr calls "a book of rare power and beauty, a look back what survives in memory and how time itself transforms and sustains us." 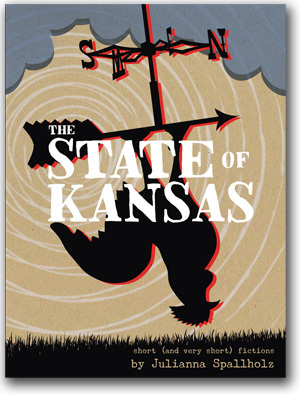 Amber Sparks at Vouched Books reviews Julianna Spallholz's fiction debut, The State Of Kansas (GenPop Books, 2012). Being fans of Sparks's own fiction, it's something of a double honor for all of us here at GenPop. "If Lydia Davis knew more people who hung out shirtless in small places and owned pitbulls instead of pedigreed cats, her stories might look at little like Julianna Spallholz’s," writes Sparks. "Lucky for us, we’ve already got Julianna Spallholz to write those stories." Michael Klein’s then, we were still living is a finalist for the 2011 Lambda Literary Award! Comments Off on Michael Klein’s then, we were still living is a finalist for the 2011 Lambda Literary Award! Best as in “best”!? There’s just *No Telling* what’s next…. Comments Off on Best as in “best”!? There’s just *No Telling* what’s next….